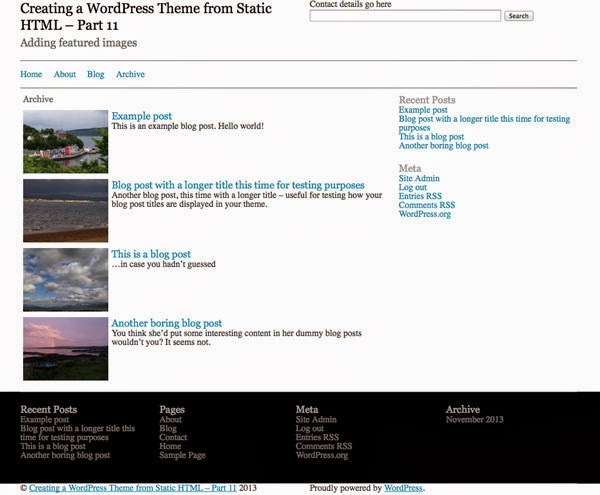 You've now worked through a number of steps to create a WordPress theme from static HTML files. Your theme now has a template file for displaying archive pages, but at the moment it's not displaying images properly. In this tutorial, you'll learn how to add featured image support to your theme and how to display and style them in your archive template.